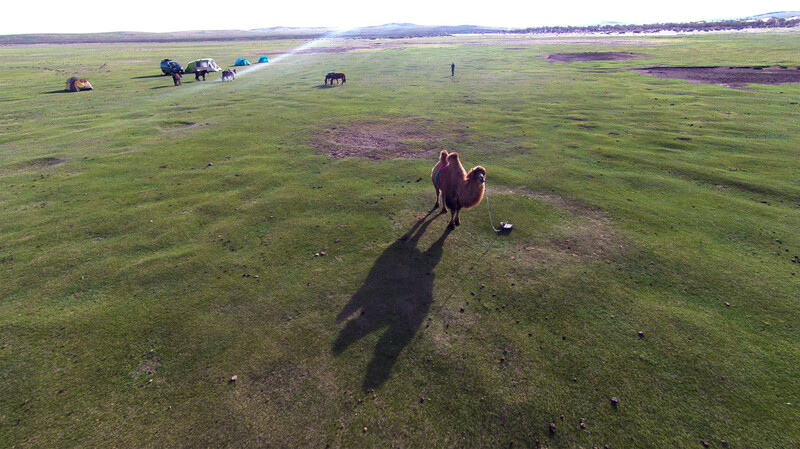 Yes, this is a dronie… of me behind the camel! 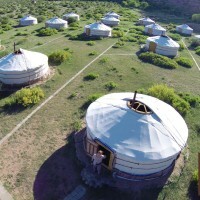 Picture taken in Central Mongolia in May 2015. We were camping in the Bayan Gobi Desert, and our pack camel was resting. Not impressed at all by the drone, just curious.